These verses are to be found within the Bible: “At that time Jesus went on the sabbath day through the corn; and His disciples were an hungered, and began to pluck the ears of corn and to eat. 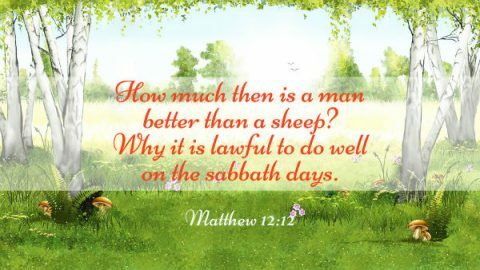 But when the Pharisees saw it, they said to Him, Behold, Your disciples do that which is not lawful to do on the sabbath day” (Matthew 12:1–2). Whenever I read these two verses, I can’t help but think: “The Sabbath was a holy day prescribed by Jehovah God for the Israelites. Everyone stopped their work on this day and went to the temple to worship Jehovah God. But when the Lord Jesus came, He worked on the Sabbath, so why didn’t He lead His disciples to keep the Sabbath? What was His thinking behind this?” These questions had always bugged me. Later, only after I read a passage on a gospel website did I suddenly see the light. It turned out that there was meaning behind the Lord Jesus’ decision to work on the Sabbath. This is what that passage said: “When the Lord Jesus came, He used His practical actions to communicate to people: God had departed the Age of Law and had begun new work, and this new work did not require observation of the Sabbath; when God came out from the confines of the Sabbath day, this was just a foretaste of His new work, and His truly great work was continuing to play out. When the Lord Jesus began His work, He had already left behind the shackles of the Age of Law, and had broken through the regulations and principles from that age. In Him, there was no trace of anything related to the law; He had cast it off entirely and no longer observed it, and He no longer required mankind to observe it. So here you see that the Lord Jesus went through the corn fields on the Sabbath; the Lord did not rest, but was outside working. This action of His was a shock to people’s conceptions and communicated to them that He no longer lived under the law, and that He had left the confines of the Sabbath and appeared in front of mankind and in their midst in a new image, with a new way of working. This action of His told people that He had brought with Him new work that began with going out from the law and going out of the Sabbath. When God carried out His new work, He no longer clung to the past, and He was no longer concerned about the regulations of the Age of Law. 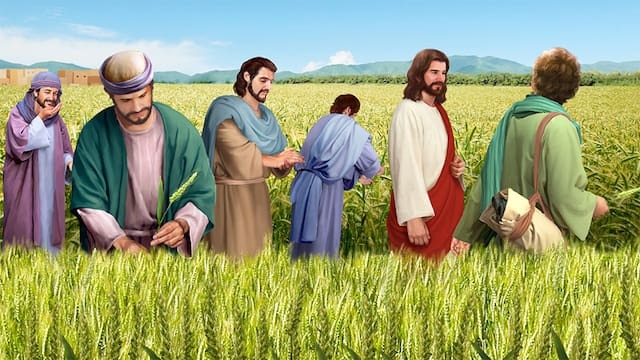 Neither was He affected by His work in the previous age, but He worked as usual on the Sabbath and when His disciples were hungry, they could pick ears of corn to eat. This was all very normal in God’s eyes. God could have a new beginning for much of the work that He wants to do and the things that He wants to say. Once He has a new start, He neither mentions His previous work again nor continues it. For God has His principles in His work. When He wants to begin new work, it is when He wants to bring mankind into a new stage of His work, and when His work has entered a higher phase. If people continue to act according to the old sayings or regulations or continue to hold fast to them, He will not commemorate or praise this. This is because He has already brought new work, and has entered a new phase of His work. When He initiates new work, He appears to mankind with a completely new image, from a completely new angle, and in a completely new way so that people can see different aspects of His disposition and what He has and is. This is one of His goals in His new work. God does not hold on to the old or take the beaten path; when He works and speaks it’s not as prohibitive as people imagine. In God, all is free and liberated, and there is no prohibitiveness, no constraints—what He brings to mankind is all freedom and liberation. He is a living God, a God who genuinely, truly exists. He is not a puppet or a clay sculpture, and He is totally different from the idols that people enshrine and worship. He is living and vibrant and what His words and work bring to humans is all life and light, all freedom and liberation, because He holds the truth, the life, and the way—He is not constrained by anything in any of His work. No matter what people say and no matter how they see or assess His new work, He will carry out His work without reservation. … No matter which new stage of His work He is carrying out, it must be developed and expanded in mankind’s midst, and it must be carried out unhindered in the entire universe until His great work has been completed. This is God’s almightiness and wisdom, and His authority and power. Thus, the Lord Jesus could openly go out and work on the Sabbath because in His heart there were no rules, and there was no knowledge or doctrine that originated from mankind. What He had was God’s new work and His way, and His work was the way to free mankind, to release them, to allow them to exist in the light, and to allow them to live. 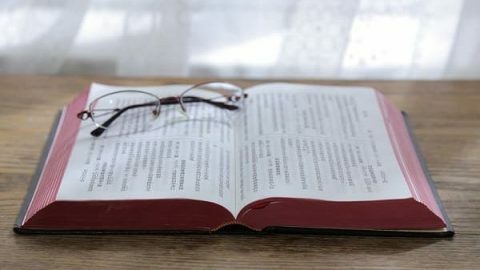 … God has principles in His words and work, but there are no prohibitions, because God Himself is the truth, the way, and the life” (“God’s work, God’s disposition, and God Himself Ⅲ”). From this passage, I came to understand that God’s work is without rules, and nor does it suffer any constraints. After a stage of God’s work achieves results with man, God then begins a new work and He gives man newer, higher paths of practice, for only in this way can God save man from the influence of Satan one stage at a time. 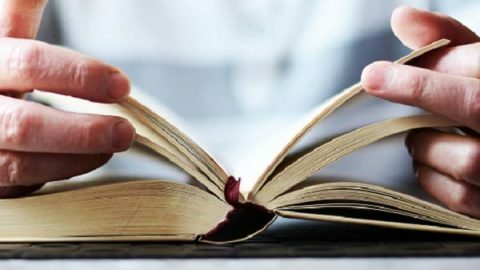 When God is launching a new work, the Holy Spirit no longer maintains the old work, and if people continue to hold to God’s past work, if they still observe God’s past requirements for man and are unwilling to accept God’s new work, then they are clinging to rules. By clinging to these rules, not only can people not gain life and have a way forward but, on the contrary, the rules will become shackles in their belief in God and will keep them tightly bound, so that they experience neither freedom nor liberation. God wants to release man from the shackles of rules, and only by accepting God’s new work can people cast off the constraints and fetters of these rules and obtain freedom, liberation and a way to move forward. Only in this way can people live happily on earth and be filled with light. 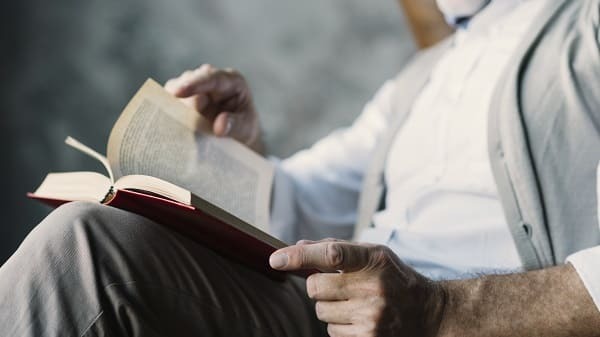 By not keeping the Sabbath, the Lord Jesus was telling the people of that time that God’s new work had begun, that God had ended the Age of Law, that God was performing a newer, higher stage of work on the foundation of the previous stage, and that man no longer needed to keep the Sabbath. Actually, this was only the beginning of God launching a new age, and only by people keeping up with the pace of God’s work in the new age and casting off the fetters of past rules could they attain God’s salvation. 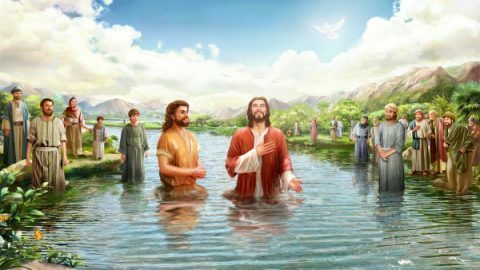 From these deeds of the Lord Jesus, I saw that, no matter what method God uses to perform His work, God always works in accordance with His own principles and God’s work is ever new and never old. Whenever God begins a new work, His old work comes to an end, and God completely disengages Himself from and no longer holds to all the rules and laws of the old age that is past. God then appears to man in a wholly new form and works amongst man in a new way. For example, not only could God appear to man through thunder and lightning from heaven, but He could also become flesh to perform His work practically amongst mankind and be crucified in order to redeem mankind. Not only could He proclaim His law and commandments to lead man in their life on earth, but He could also become flesh and be crucified to redeem man from sin. Nothing is taboo to God’s work, much less can it be constrained or influenced by any person, event or thing. God’s work is carried out entirely according to His plan as well as in accordance with the needs of mankind, and ultimately it is done to allow man to live liberated and free before God, and for us to attain God’s salvation. After I’d come to this understanding, I hurriedly consulted the New Testament and saw that, from the very beginning of His preaching the gospel of the heavenly kingdom, the Lord Jesus destroyed the old law, just as He said: “Repent: for the kingdom of heaven is at hand” (Matthew 4:17). “But I say to you which hear, Love your enemies, do good to them which hate you” (Luke 6:27). 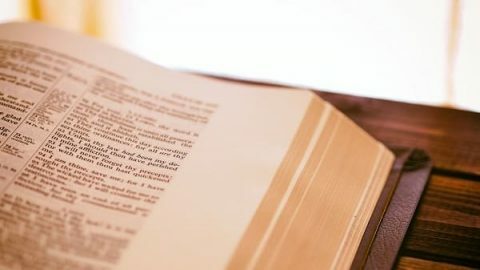 From these verses, we can see that everything the Lord Jesus taught people went beyond the Old Testament and He did bid them no longer observe the rules of the law. Instead, He led them away from the law and into the new way of the Holy Spirit’s work, thus showing them a new path of practice. As long as all who followed the Lord accepted His salvation and came before Him to confess and repent, then their sins were forgiven; they would no longer be put to death for their sins and they completely left the bonds and fetters of the law behind them. Because they accepted the new work brought by the Lord, they obtained the work of the Holy Spirit and they lived before the Lord in total freedom and liberation. The chief priests, scribes and Pharisees who had served Jehovah God in the temple for generations, however, although they saw that the works and miracles performed by the Lord Jesus could not have been done by any human being, they did not seek or investigate them in the slightest. Instead, they relied on their own conceptions and imaginings, as well as on the biblical knowledge, spiritual theories and doctrinal rules they had armed themselves with, to judge the Lord Jesus not keeping the Sabbath as being in violation of the law. They also used the fact that the Lord Jesus’ sermons went beyond the law to slander and condemn Him, to fabricate rumors about Him, and even to collude with the Roman authorities to crucify the Lord Jesus upon the cross. Thus, they committed a heinous sin, they aggravated God’s disposition, and their deeds resulted in the entire Jewish people suffering the unprecedented pain of national subjugation. From this, I saw that God’s disposition is holy and righteous and that it tolerates no offense. All who are able to have a God-fearing heart and can seek, investigate, accept and obey when faced with God’s new work are able to obtain God’s guidance and blessing; those who persistently cling to their own conceptions and imaginings to the point where they even use God’s past work and cling to rules to resist God’s new work, however, shall all be abandoned and weeded out by God, and they shall ultimately end their lives being punished and destroyed by God. The fact that the Lord Jesus did not keep the Sabbath allowed me to see totally that God’s work does not adhere to old ways, and that God always performs newer and higher works in accordance with His plan and according to the needs of mankind. Moreover, the more God’s work is at odds with our own notions, the more truth there is to seek within it. Therefore, no matter how God works, as tiny and insignificant created beings, we should not judge or delimit God on the basis of our own ideas, knowledge, theories and notions, lest in the end we end up being the ones who lose out. God’s wisdom reaches higher than the heavens, God’s work is beyond our imaginings, and God’s Spirit can travel amongst all things in heaven and on earth and can come amongst us clothed in flesh to utter His words and lead us. Every stage of God’s work and every word He speaks brims with God’s will and with His painstaking care and thought, and it is all there only to save us. What we should do is let go of our conceptions and imaginings and try practically to understand, seek and investigate God’s new work, not speculate about it and misunderstand it, and much less judge or condemn it. Thank God for His enlightenment! Extended Reading: What Does It Mean That Jesus Is the Lord of the Sabbath? Why Did the Lord Jesus Allow His Disciples to Pluck Grain on the Sabbath? 3 Temptations of Jesus Christ tell us God’s word is full of power and is the only way for Christians to overcome Satan’s temptations.